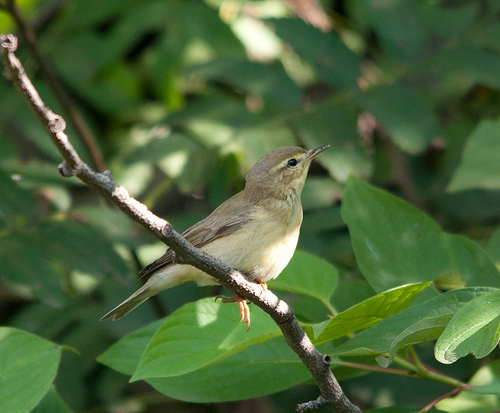 The Willow Warbler belongs to a group of yellow-green songbirds which are all very similar. Fortunately, the Willow Warbler has a beautiful and very personal song that has some resemblance to the song of the Chaffinch, but is descending in tone. 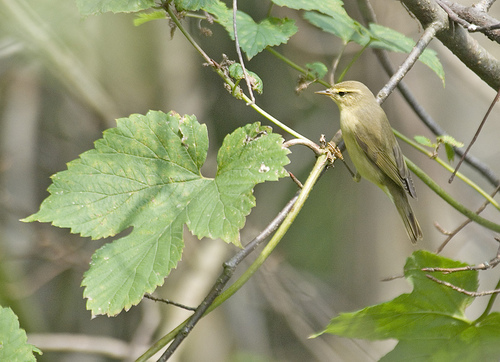 The Willow Warbler has a yellow belly and a yellow chest, the Wood Warbler has a white belly. That difference is sometimes hard to see, but fortunately the songs are very different.